A nice Car, Limousine, Private Taxi with a nice driver is waiting for you at the arrival quay of Cruise Ships in Villefranche sur Mer, Cannes, Monaco even at your arrival at Nice Airport . You have chosen to have lunch in the best world’s fish restaurant on the Côte d’Azur whose name is TETOU , you want to discover their legendary “Bouillabaisse”! 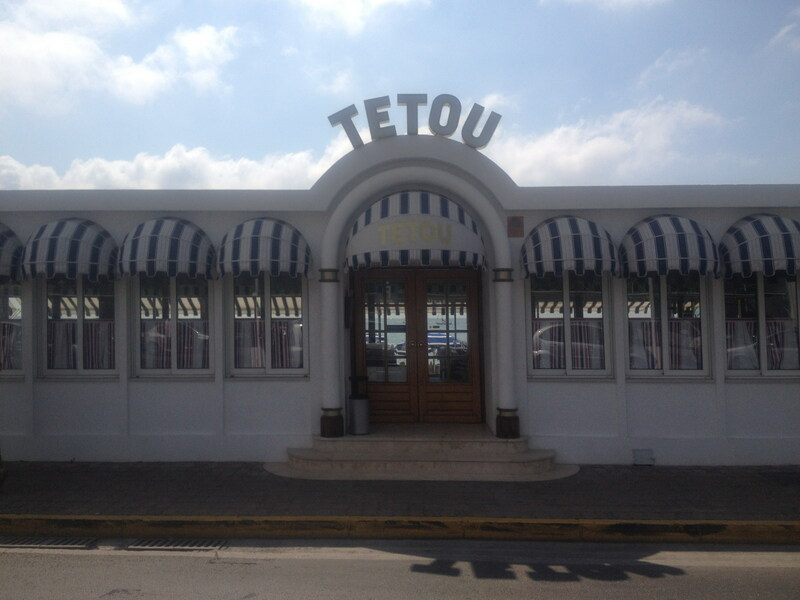 TETOU was opened by Ernest Cirio in 1920 and has been owned and run by the same family ever since. Famous for hosting celebrates ranging from; Robert De Niro, Mick Jagger, Francis Ford Coppola, Diane Kruger, Bruce Willis, Clint Eastwood, Brad & Angelina during the recent Cannes Film Festival and TETOU has also hosted another living legend Sir Sean Connery. We choose for you a perfect service Limousine Car with driver to take you from Villefranche sur Mer, Cannes, Monaco to TETOU Golfe Juan Côte d’Azur. To have lunch or dinner at Tetou Golfe Juan you need to book sometimes several months in advance. Ask us a quote for a private Taxi, Limousine to go at Tetou from your cruise ship in Villefranche sur Mer, Cannes, Monaco. This entry was posted in Have a Private Taxi from Villefranche sur Mer Cruise Ship to TETOU Bouillabaisse Golfe Juan Côte d'Azur, TETOU Best Fish Restaurant in the World, Villefranche sur Mer Cruise Ship Private Taxi and tagged From Crise Ship Villefranche sur Mer to TETOU Restaurant Bouillabaisse, Tetou Best Fish Restaurant in the world, TETOU Golfe Juan Bouillabaisse. Bookmark the permalink. MONACO YACHT SHOW 2012 : Get your private Taxi Limousine!